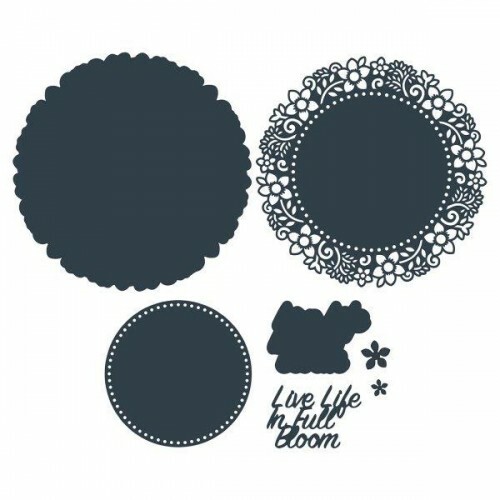 This Doily Dies Collection features doily designs with a 'Live Life in Full Bloom' sentiment. The doily design depicts a wreath of delicate flowers and flourishes. Made from high-quality steel, each die gives a perfect cut, every time.